Babyology is sponsoring the incredible Playtime trade shows in 2011 and this week it was Tokyo’s turn to host. It’s hard to choose favourites from the hundreds of exhibitors but feast your eyes on these choice picks. 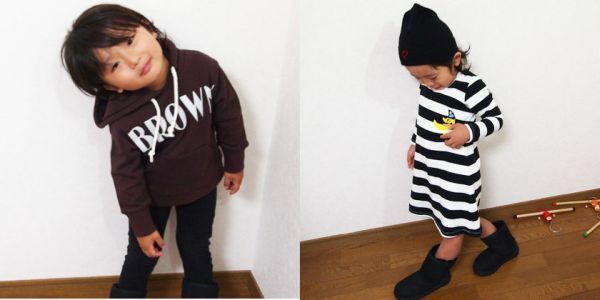 Japanese designer Shihoshi Yokahama is creating tailored, elegant pieces for the urban child. The new season brings trench coats, blazers and pea coats in black, caramel and chocolate brown. Teamed with leggings and asymmetrical skirts the complete look is for the super-styled girl (above and at top). Hparfulam is another Japanese label featuring a strong tailored look for the coming season with a few ruffles and splashes of colour for fun (above). Can you believe this is sleepwear? 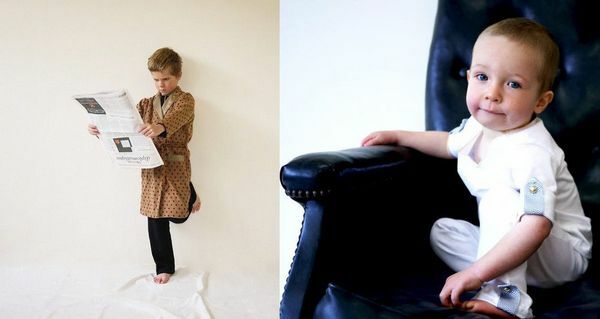 Exquisite French label Maison Gabrielle Lemaitre is designing children’s pyjamas that are simply divine. Nightdresses with puff sleeves and boys pyjamas with gold braid trim teamed with robes that look too good to only be seen at the breakfast table – inspiration is drawn from fairy tales and the French Revolution. Maison Gabrielle Lemaitre is also the mastermind behind the enchanting Starry Sky illuminated LED light cot canopy and bed linen that mixes tweeds with lace for an unusual but extraordinarily beautiful result. A range of nursery furniture completes the Maison Gabrielle Lemaitre look (below). Making a splash with nautical stripes is Japanese designer Noahnaia. The look is bold but not without cute details like sun and moon motifs and blazer buttons that read ‘1,2,3 and 4’. We also love their collection of separates that state the obvious – Purple, Brown, Navy and Pink (below). 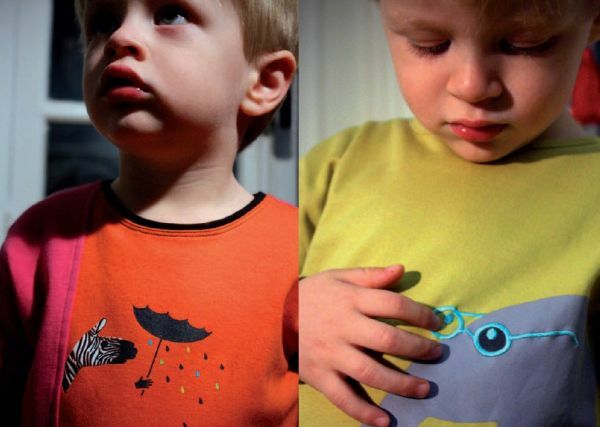 Boys don’t miss out with a small but cool collection from Rose Pour les Garçons that combines strong graphics and bold colours. The emphasis this year was on children’s fashion, with few newcomers to the infant and maternity stable. Nevertheless, Canadian label Parade caught my eye for its nice combination of Japanese cute (!) and practical styles. Parade’s signature nickname prints include photographs of sock bunnies, peanuts and beans – pick the perfect kimono for your newest addition, whether they’re your ‘monkey’, your ‘cupcake’ or your ‘sprout’. Parade also have a sweet collection of patterned rompers in muted tones with coordinating baby basics (below). Although Japanese label Good Evening caters for babies, children and adults, it’s their collection of tailored romper suits that shouldn’t be missed – unusual fabrics including knitted and fine gauge wool plus suits that appear to be separates but are in fact all-in-ones combine cute and smart for the under-one-crowd. Belgium-based designer Nathalie Vleeschouwer presented her beautiful twentieth anniversary collection of Fragile maternity clothing – feminine, simple lines and fantastic patterns will make you wish these pieces could take up permanent residence in your wardrobe. For our recent trade show coverage so far this year, see our posts on Bubble London, Playtime Paris, and of course Sydney’s Kids Instyle. If you are all about Japanese style after reading this post, see our previous Playtime Tokyo coverage.